Line Magnetic Audio products are high-end products and are always in demand. For all music lovers, China-Hifi-Audio now maintains a significant range of Line Magnetic amplifiers, CD players and other products, available at reasonable prices. Line Magnetic is a well-known brand for its cutting-edge technology and products that come with a long-lasting performance. The company has produced a series of amplifiers, CD players, DACs and other types of music electronics that are very popular among music enthusiasts. Now, one can purchase a complete range of Line Magnetic products online from China-Hifi-Audio web store at reduced prices. The online store has recently added several new LM products in its portfolio and which are available for shipping all around the world. The spokesperson of the online music electronic store reveals that the Line Magnetic Audio presents innovative products for the music industry, which include tube electronics, CD players, speakers, DACs and other items. Line Magnetic is the company that believes in the philosophy of continually upgrading its product range, and this is the reason why one can find the most advanced products in their portfolio. China-Hifi-Audio is proud to offer these LM products online for customers all across the globe. According to the spokesperson, Line Magnetic always focuses on researching and manufacturing vacuum tube power amplifiers that can enhance the power and performance of the music devices. With a spirit of craftsmanship, the company believes in delivering products that come with a long-lasting intrinsic value. 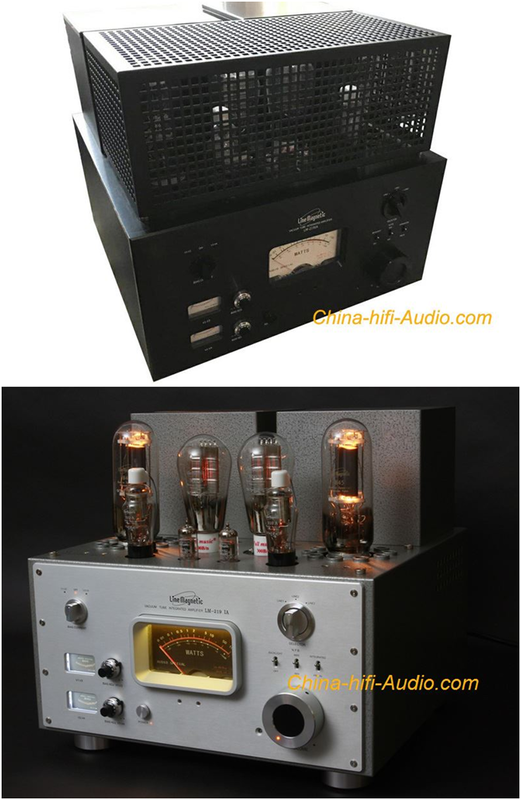 China-Hifi-Audio has different types of LM products in its stock, and the LM-518IA tube amplifier is a remarkable product that one should look into. This amplifier features a pure handmade construction with point-to-point wiring and is available with a remote control for its easy operability. It comes fitted with specially designed EI transformers and has a shipping weight of 35kg. With a single-ended triode design, it is a pure class A integrated stereo amplifier with four pairs of inputs and speaker terminals. The hifi amplifier has 845 output power tubes to deliver twenty-two watts per channel. The user bias control is already there for the bias control and there is also one meter in the front plate to help monitor the bias. Another great LM product in the stock of China-Hifi-Audio is the Line Magnetic 219ia tube integrated amplifier. Available at an affordable price, the online store ships this amplifier without charging any shipping cost from the customer. This amplifier too features a point-to-point hand welding circuit and also two high quality special technologies. It also uses two high-power EI transformers and comes with a remote control with volume control and mute functions. The amplifier delivers pure, soft and smooth sound for enjoying music. One can check the details of these Line Magnetic products by visiting the website https://www.china-hifi-audio.com.